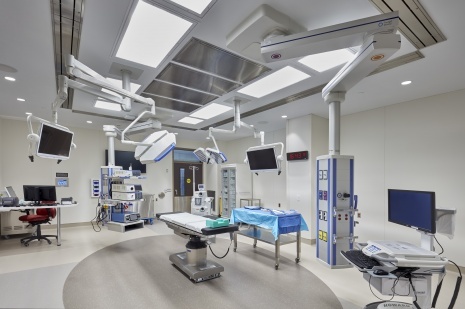 Equipped with advanced medical equipment and designed to meet the latest innovations in twenty-first century care, St. Thomas Elgin General Hospital’s single largest investment in over 60 years is now open to the public. Located on the northwest corner of the hospital campus, the new three-storey tower houses a new emergency department, surgical suites, medical device processing department and Mental Health Services Unit. Departments are stacked to achieve leaner workflows and resource efficiencies while department-specific drop-offs and entrances maintain easy wayfinding. They connect directly with the existing hospital through a series of glazed bridges, creating critical adjacencies between related functions. Montgomery Sisam Principal, Santiago Kunzle and Project Architect, Leslie Parker together with their design partners at Kahler Slater, joined hundreds of guests, including many dignitaries, at the grand opening on January 9th.